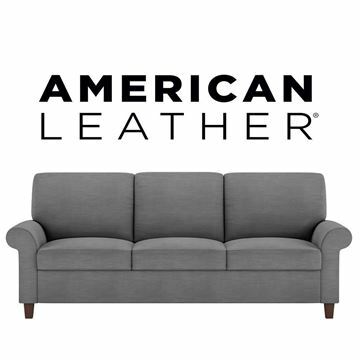 In 1990, American Leather was founded on the revolutionary idea that custom leather furniture could be made and shipped in three weeks or less. 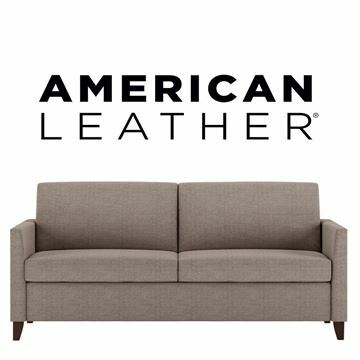 In the years since, American Leather has evolved from setting a precedent with quick-ship delivery to setting the standards by which all other custom furniture manufacturers are measured. What began as a small team in a borrowed facility has grown to more than 500 employees in Dallas, Texas, housed in a state-of-the-art 250,000 square foot factory that will expand by an additional 100,000 square feet in 2017. While impressive in size, our true growth is measured by our innovation, technological advances and performance. As well as by the countless furniture lovers who have become our biggest fans. And finally, by our resolve to do the right thing: maintain US manufacturing jobs, meet retail partner and consumer needs, and enhance the quality of life of our employees - even as the industry continues to turn to offshore manufacturing. We remain firmly rooted in our heritage of speed, quality, and customization, and we especially value the entrepreneurial mindset that always asks: "Why not?" We believe it's the approach to innovation that makes us stand apart - whether applied in our factory, a sofa design, an engineering advancement, or a brainstorming meeting. Ingenuity is inherent to our name and heritage. 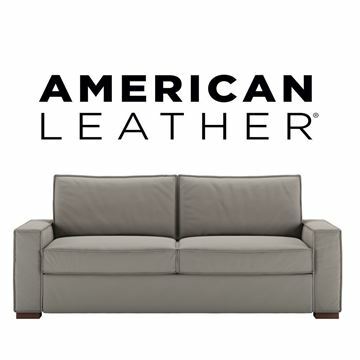 At American Leather, we utilize computerized, automated cutting systems in both coverings and wood part fabrication. Leather, fabric, and wood parts are cut to .004" tolerances, resulting in exceptional accuracy and quality consistency. Our advanced automated leather cutting system uses video camera and lasers to scan hide, identify flaws, then nest and cut leather parts. This process not only maximizes usage of each hide, but we are abble to maximize the quality of each finished piece of furniture as well, by identifying flaws and eliminating them from our process. The timeless beauty of our furniture is equalled only by the long lasting durability of our frames. And we stand behind this with a lifetime warranty on every frame. All wood parts are precision cut to .004" tolerances. We further ensure all wood parts fit together using a notched interlocking system, resulting in the strongest frame available. All joints are double secured to ensure integrity of the bond and to give the frame enduring strength and stability. In addition, any open areas within the frame are fully covered with structured material to improve overall sturdiness and prevent unsightly cavities and sagging underneath the upholstery. Comfort and long term support are essential to every piece we make. Our unidirectional webbed suspension seating is a proven system for creating a smooth, stable seat with supreme comfort. It also allows us to create beautiful, continuous design lines and increases the life of the cushions. We create our cushions with a highly perfected recipe of down and foam. Each cushion mix is developed specifically for ideal comfort on its respective frame to create a welcoming softness. High resiliency, high density, multi dimensional foam provides a firm foundation, while down masterfully creates optimal softness and comfort. We aree one of the only US manufacturers utilizing European upholstery methods to create the cleanest, most tailored lines possible. Often referred to as "sock-on" upholstery, it allows the same type of meticulous detailing found in custom tailored clothing and can be compared to creating a jacket for the furniture. Covers are designed for precision and sewn as one complete piece to ensure an impeccible fit. We look forward to all the future holds, while acknowledging the solid foundation for success that our history provides. And we look forward to continuing the journey with you, our valued partners, and gratefully acknowledge your role in our success - yesterday, today, and tomorrow. The Pearson Comfort Sleeper, made by American Leather. The Pearson is a narrow track arm design, with a very unique wood leg that runs the full length of the arm. The Pearson is a smaller scale sleeper sofa, but can be configured many different ways. Please enjoy checking out all the available sizes and design features of the Pearson has to offer. And if you'd like any design assistance we're glad to help. Reach us by phone at 206.243.1834 or use the QUOTE REQUEST feature at the bottom of the page. The Olson Comfort Sleeper, made by American Leather. The Olson is a comfortable track arm sofa, with the inside edges closest to the seat cushions slightly rounded. This feature adds an extra comfort feature when lounging in the sofa. The block style leg is symmetrically balanced to the overall arm, and is available in three different wood finishes. Please enjoy checking out all the available sizes and design features of the Olson Comfort Sleeper. And if you'd like any design assistance we're glad to help. Reach us by phone at 206.243.1834 or use the QUOTE REQUEST feature at the bottom of the page. The Madden Comfort Sleeper, made by American Leather. The Madden is a double welted casual transitional design. It features a plush seat comfort and generous track style arm rests. The tapered wood leg is available in three different wood finishes. Please enjoy checking out all the available sizes and design features of the Madden Comfort Sleeper. And if you'd like any design assistance we're glad to help. Reach us by phone at 206.243.1834 or use the QUOTE REQUEST feature at the bottom of the page. 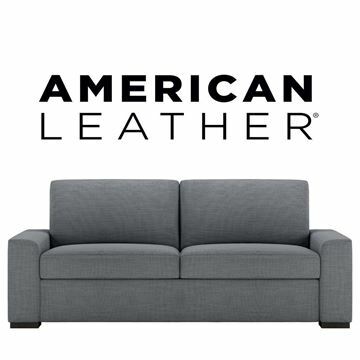 The Lyons Comfort Sleeper, made by American Leather. The Lyons is a clean line symmetrical design, featuring a track arms and plush seating comfort. Box shape back cushions and seat cushions are in perfect proportion to each other creating a wonderfully balanced look. The tapered wood leg is available in three different wood finishes. Please enjoy checking out all the available sizes and design features of the Lyons Comfort Sleeper. And if you'd like any design assistance we're glad to help. Reach us by phone at 206.243.1834 or use the QUOTE REQUEST feature at the bottom of the page. The Harris Comfort Sleeper, made by American Leather. A sleek narrow track arm tapers and gently flares as it elevates from the seat cushion to the top of the arm. The wood legs are made to gently taper and curve outward, making a very balanced look to the overall design. The back cushions are a boxed and shaped within the confines of the arm, and are in perfect proportion to the seat cushions. The tapered wood legs are available in three different finishes. Please enjoy checking out all the available sizes and design features shown below. And if you'd like any design assistance we're glad to help. Reach us by phone at 206.243.1834 or use the QUOTE REQUEST feature at the bottom of the page. The Gibbs Comfort Sleeper, made by American Leather. A beautiful gently rolled arm, subtle shaped back cushions, and tapered wood legs combine to create this gracefully balanced design. The back cushions are a boxed t-cushion shape with soft rounded edges, and are in perfect proportion to the seat cushions. The tapered wood leg is available in three different finishes. Please enjoy checking out all the available sizes and design features shown below. And if you'd like any design assistance we're glad to help. Reach us by phone at 206.243.1834 or use the QUOTE REQUEST feature at the bottom of the page.